Q: What product brands do you carry? For both Residential and Commercial use. Q: Do you service garage doors and openers? A: Absolutely! We have some of the best-trained techs in the business. And we service all brands. 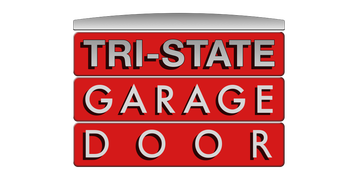 Click for more Garage Door and Opener Service information here. Q: Can I visit your facility to look at my options? A: Yes you can. We are located at 3521 S. Norton Avenue in Sioux Falls, South Dakota. Stop by Monday through Thursday, between 8:00 am and 5:00 pm, Friday between 8:00 and 4:00, or you can call ahead, and we'd be happy to prepare some things ahead of time for you. Q: Do you service other companies' garage doors? A: Yes, we service all makes and models of overhead doors and operators. Q: Do you do emergency after hours service? A: Yes, we have an on-call service staff 24/7 for emergency situations. Q: How many times a year should you service you door and operator? A: Once for sure, usually before winter. But we would recommend twice a year. Q: How long does it get take to get doors after ordering? A: Depending on the time of year (Fall and Winter being our busiest time), it takes approximately 3 to 4 weeks to get scheduled.